Where in the World is Nikki-San-diego? Whenever I go on a hiatus, I hear that song in my head. I promise I haven’t forgotten about you. October just ended up being busier than I thought. In fact, I hadn’t had a weekend to my self in almost a month and a half— if not two months. Remember how I said I always feel like I never get to do what I really want to do in my favorite month? Yeah, it kind of happened again. However, my Squash-a-palooza is not an entire failure! I did in fact make numerous squash recipes this past month (though not as many as I would have liked) and I’m sorry I haven’t posted them yet. That’s why Squash-a-palooza is continuing into November! Not only will I post the recipes I did in October that I hadn’t gotten to blog about yet, but I totally have a bunch of squash in my kitchen right now begging for some culinary excellence. If you’ve been following me on Instagram, then you’ve already had a sneak peek! It will happen, my friends. I promise. In other news. Despite what you see here…I have been writing. A LOT. I’ve been asked to write some sample scripts for a possible gig with a children’s health DVD series, and I’m really excited about the opportunity because it seems to be completely in line with my own health visions I’ve been working toward the past couple of years. Also, last month I was suddenly inspired to write a children’s book I’ve been wanting to write forever called The Adventures of Shoe Girl, about a bullied sixth grader whose shoes get struck by lightning, allowing her to be invisible whenever they’re untied. I’m in the middle of the editing process right now, but I’m super excited because my coworker’s daughter already volunteered to read it. And of course, November 1 marked the beginning of NaNoWriMo!!! For those who have no idea what I’m talking about, November is National Novel Writing Month. So in celebration, a bunch of crazies get together and write 50,000 words in 30 days. 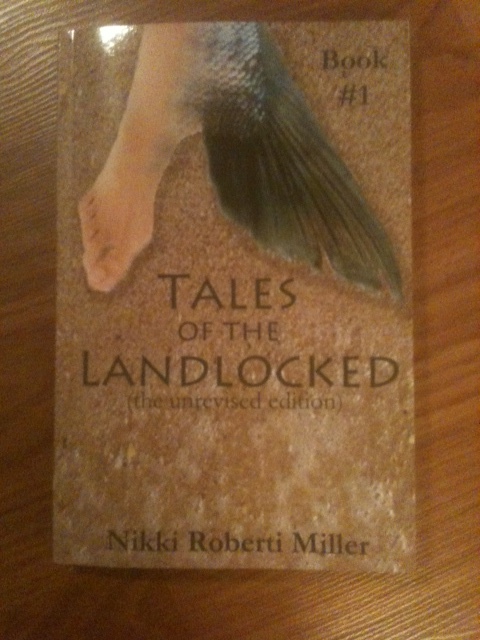 Last year was my first year and I wrote the first installment of my Tales of the Landlocked trilogy. I ended the month around 75,000 words. I know a lot of people have been asking me where they can get a copy, but unfortunately I haven’t released it yet. But I’ll keep you posted. While book two is in progress, I decided I really wanted to go for a new idea I’ve been developing for a little over a year. And man, once I hit the ground running with it on Friday to start off my long-overdue me-time weekend (which just happened to coincide with NaNoWrimo’s first day), I just couldn’t stop. In three days, I wrote more than 30,000 words of my latest Young Adult Sci-Fi novel, The Cured. And so far, unless I take a break this week at some point, I’m on track at hitting the 50K mark on Friday (which is when I’ll be taking a real break this weekend to spend time with my brother, sister-in-law, and really good friends so don’t think I’m a completely nut job). The book probably won’t be finished by that word count, but it’s definitely nice to have the motivation to keep writing it. In the year 3050, society had cured every disease, discovered anything that was capable of being known, and cultivated the perfect atmosphere of efficiency. But for 17-year-old Adam, a born resident of the space station Utope Apoc 6, perfection was far from perfect for him. With a restless spirit and the rare ability to dream (a trait also eliminated by science for efficiency’s sake), Adam longs for a life made of more. Despite knowing old Earth was uninhabitable and abandoned, Adam embarks on a journey to rediscover the planet he believes will hold the true joys of life that could only be found amid imperfection– even if it meant dying within seconds of landing. However, to his complete surprise, Earth isn’t abandoned at all. A society of doomsday preppers and environmentalists stayed behind in the year 2050 in an effort to salvage their home and maintain humanity, culture, and hope. Adam rediscovers the Earth he had always dreamed about, experiencing food, art, and even love for the first time. But when it’s discovered that Adam has a unique quality to his perfectly genetically bred blood, old Earth’s society pressures him to help cure many of the diseases that still plagued their planet. Conflicted with a desire to help the society he’s always wanted to be part of, Adam is faced with a difficult decision: refuse to save lives, or help propel this society toward the perfection he had been trying to escape from all his life. Now, if I could only stop having a cold long enough to hit the gym, that would be great too! Hoping for Zumba tomorrow! And on one last note, I came across this funny song in honor of NaNoWriMo! Anyone else doing NaNoWriMo?